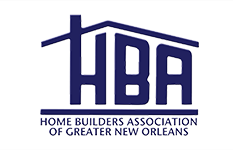 For professional handyman services and maintenance craftsmanship in New Orleans, contact Mr. Fix It today! We provide a wide array of helpful home repair and home updates services. We’re a full-service handyman company, specializing in the fixes you or your significant other does not have the time to do. Proudly serving New Orleans, Metairie, Kenner and the Northshore, Mr. Fix It provides professional customer service and quality craftsmanship with a streamlined process that's easy for you to comprehend. Instead of searching for and hiring several different painters, contractors, repairmen and various other service providers, simply call us! Our professional crew can handle your multiple trade projects along with your other to-do list items with ease. The Mr. Fix It Services include carpentry, drywall, paint, doors, windows and electrical, just to list a few. You no longer have to be building a house or doing a full renovation to hire an experienced and knowledgeable contractor. Our processes will keep your home or business looking its absolute best. We do all the work, so you can enjoy your free time. Whether you are replacing a door, installing hardware, replacing a light fixture, replacing a water heater, installing shutters, or cleaning gutters, the Mr. Fix It crew is available to complete your home projects. Our comprehensive handyman services spans through all sections of your home or business, from the garage to the deck to the kitchen. We offer home or office maintenance work by the hour, but our best value is to hire a Mr. Fix It crew for the entire day to check off all the items on your to-do list. Start removing items from your to-do list today and contact Mr. Fix It!